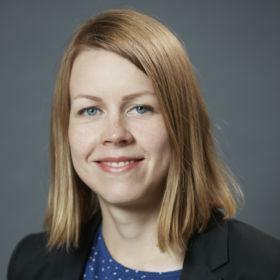 FIIA’s Senior Research Fellow Emma Hakala defended her doctoral thesis on September 29. The title of the thesis is “International Organisations and the Securitisation of the Environment in Post-Conflict Western Balkans” (Faculty of Social Sciences, University of Helsinki). “The analysis examines the securitisation of environment carried out by international organisations. It looks at the way in which actors like UN agencies and OSCE, aimed to enhance human security and encourage trans-boundary cooperation through environmental causes, thereby attempting to contribute to overall stability in the region. The dissertation examines the implications that environmental security discourse had in terms of both environmental cooperation and the concept of security”, writes Hakala in the abstract of the thesis.